Tour of Grand Canyon, Antelope Canyon, Horseshoe Bend sunset tour, Lake Powell, Bryce Canyon, and Zion National Park. One night in Page Hotel, bus, Chinese and English speaking tour guide. Depart Las Vegas and head toward where Mormon pioneers took refuge in the past, Zion National Park. Four different landscapes can be seen as well; desert, riverbank, woodlands, and coniferous forest. Guests are able to visit famous landmarks such as Zion canyon and Checkerboard Mesa. Next, head toward America’s pigmented rock forest, Bryce Canyon. The hoodoos (uniquely shaped rock columns) of Bryce Canyon were formed by sedimentary rocks along with erosion from wind, river water, and ice. The differently colored hoodoos (red, orange, and white) create a spectacular view, and this sight has been nicknamed the royal hall of natural stones. While walking among the hoodoos, visitors will be amazed by the majestic atmosphere. In the afternoon, head toward Page, AZ to visit the best scenic spot of Glen Canyon, the famous Horseshoe Bend. Over 1000ft below the cliff runs the Colorado River, which makes a 270 degree curve around a large rock formation. Start your day with the glimmering emerald in the desert, stop at Glen Canyon Dam to overlook Lake Powell. While you are there, take in the grandeur of Glen Canyon Dam as well. Then participate (at your own expense) in a tour with Native American guide within Antelope Slot Canyon and marvel at the uncanny craftsmanship of Nature. 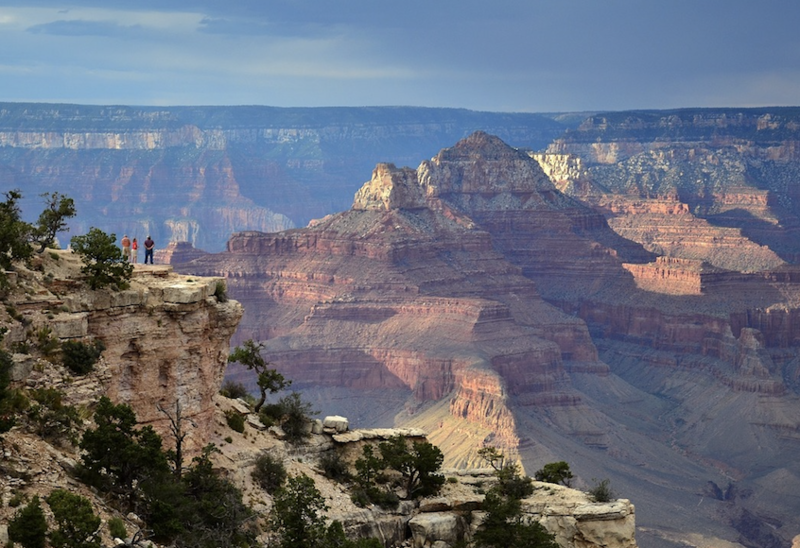 Embark next for Grand Canyon National Park, ranked among the Seven Natural Wonders of the World. The canyon seemingly spans thousands of kilometers long and immeasurably deep. Here guests are exposed to the magnificence of the Canyon, as well as the beauty of the Colorado River below. Enjoy the spectacle caused by the refraction of sunlight on the canyon walls from the perspective from these different viewpoints. It demonstrates the undeniable evidence of the Grand Canyon’s miraculous existence. Finally on the return to Las Vegas, pass by historic Route 66.